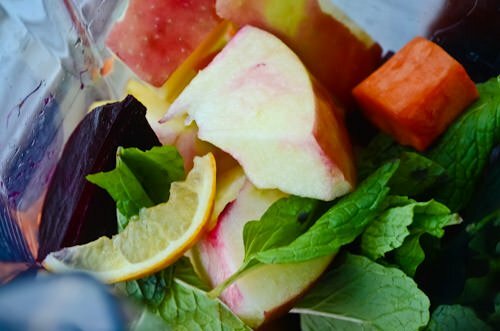 Here is another great detox smoothie! 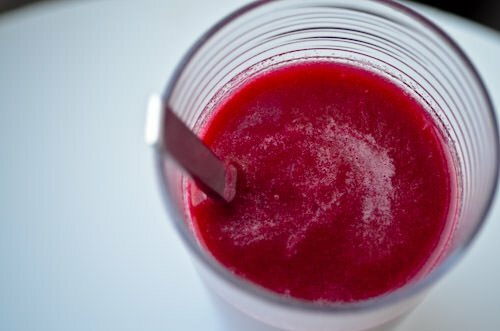 Beets help fight inflammation and help neutralize toxins which makes it easier to flush them from your system. They are naturally sweet and make a great addition to any smoothie. 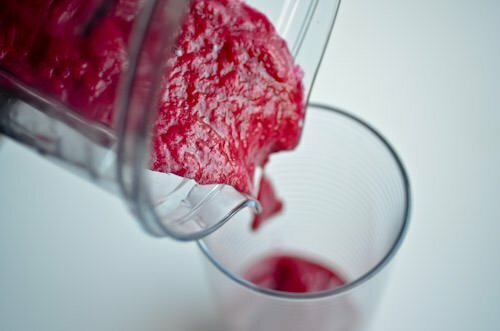 If you don’t have a blender powerful enough to process the beets and carrots, you can simmer them in water for 10 minutes until they are soft, let them cool and then process them. Enjoy! I’ve made several of your recipes to great delight! In making this one, however, something went awry. First of all, the color of my smoothie is not nearly as beautiful as yours. Mine is a dull, muddy pink. Secondly, the consistency is a little weird…kind of like applesauce. The taste is not bad (if I close my eyes while I eat it…lol!) Any suggestions? This is one of the first recipes I ever posted. The beet can be tricky, for lack of a better word they can taste like dirt. I”m not sure why it turned out a muddy pink. Maybe your apple was really big compared to the beet and carrot? As far as the consistency goes you probably need to add more water to thin it out or strain it a little bit to get rid of some of the pulp. Since I posted this recipe I’ve purchased a juicer and I have to say that I really prefer this one in a juicer over a blender. That’s the reason I purchased a juicer. I don’t love drinking all that pulp!